The Distinguished Scientific Achievement Award is designed to acknowledge outstanding contributions to the science and technology of radiation safety. The recipient of the award is recognized for accomplishments of fundamental importance to the practice, acceptance, and advancement of the profession of health physics. "Dr. Xu is indeed a leading authority in the field of radiation safety," said Suvranu De, professor and head of the Department of Mechanical, Aerospace, and Nuclear Engineering at Rensselaer. "He is most deserving of this award which recognizes his deep and sustained contributions to the field." Xu is a professor of nuclear engineering in the Department of Mechanical, Aerospace, and Nuclear Engineering at Rensselaer, with a joint appointment in the Department of Biomedical Engineering. From 2011 to 2013, he served as the head of the Nuclear Engineering Program. He is an internationally recognized authority in computational modeling and simulation of radiation dose in humans for the purposes of radiation protection, imaging, and radiation treatment of cancer patients. With his students in the Rensselaer Radiation Measurement and Dosimetry Group, he has pioneered several computational methods including the tomographic model, posture-adjustable model, pregnant patient models, and obese patient models that significantly improved research capabilities in radiation dosimetry. His group has recently received a major grant from the National Institutes of Health to develop an extremely fast Monte Carlo dose calculation method using an emerging graphics processing unit and coprocessor technologies. Xu co-founded the International Consortium of Computational Human Phantoms in 2005, playing a leading role in an emerging research field. He has organized the past three international workshops on computational models for radiation protection, imaging, and radiotherapy. A prolific researcher, Xu is an author or coauthor of more than 170 peer-reviewed journal papers and book chapters, 350 conference abstracts, and 120 invited seminars and plenary presentations. In his time at Rensselaer, he has secured more than $15 million in research funding from the National Science Foundation (NSF), NIH, Department of Energy, National Institute of Standards and Technology, and from the nuclear power industry. After receiving his doctoral degree from Texas A&M University, Xu joined the Rensselaer faculty in 1995. He was promoted to associate professor in 2001 and a full professor in 2006. In his time at Rensselaer, Xu has graduated 21 doctoral students and 12 master's students. 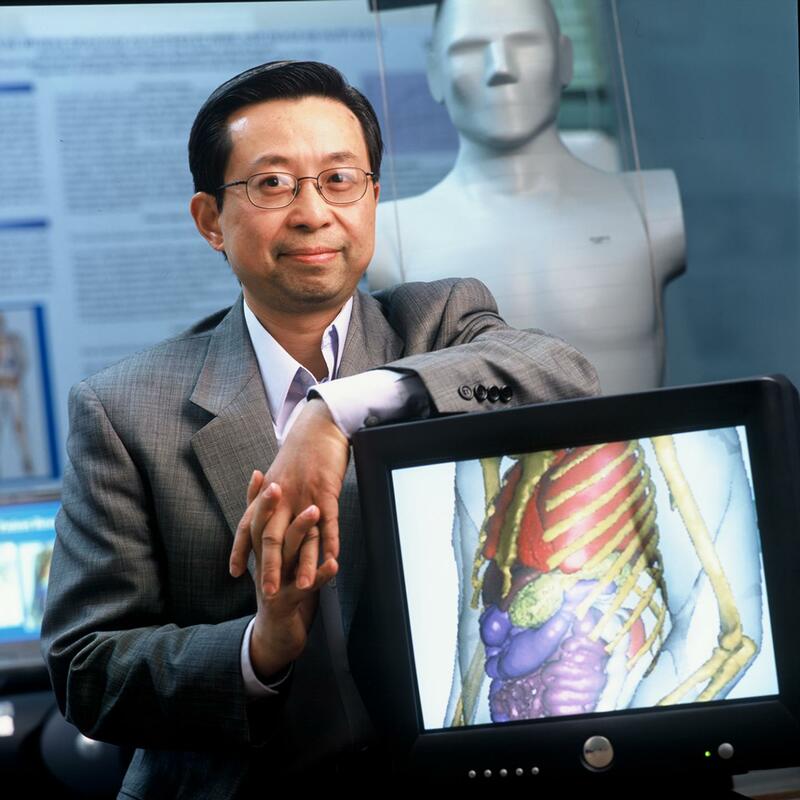 Xu is a fellow of the American Nuclear Society, American Association of Physicists in Medicine, and Health Physics Society. He is a past president of the Council on Ionizing Radiation Measurements and Standards, and was recently re-elected to a six-year term as a member of the National Council of Radiation Protection and Measurements. In 2013, Xu was appointed to serve on the Radiation Advisory Committee of the U.S. Environmental Protection Agency (EPA). The three-year role involves advising the EPA on national policies related to radiation protection and safety. He is the recipient of numerous awards including a Faculty Early Career Development Award (CAREER) from the NSF, Excellence in Research Award from School of Engineering at Rensselaer, Outstanding Team Award from School of Engineering at Rensselaer, Best-Paper Award from American Nuclear Society, Best Paper Award from the Journal of Physics in Medicine and Biology, the Professional Excellence Award from the American Nuclear Society's Radiation Protection and Shielding Division, and the Randal S. Caswell Award for Distinguished Achievements from CIRMS.